Dive when you are here! 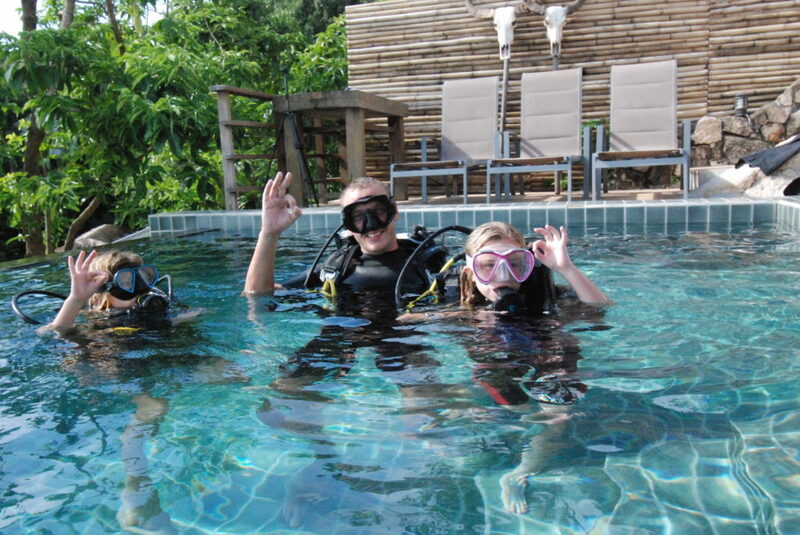 Book your diving with us and with a stay in one of our villas. Let us know what you are looking for, and we will make the best offer for you. If you would like to let your children do bubble maker (under 10 year) or open water course (from 10 year), you can have the first session in our pool. To improve the quality and maintain the best possible service in our Villas we have decided to cooperate with a well established company: Dive wishes & more to offer you a wide range of water sport activities. Dive Wishes & More has been taking care of our in house guest since December-17, to our great satisfaction and we are happy for the successful cooperation. Our main concern is the individual care and well-being of our guests, therefore we are happy to have found a suitable partner. Dive Wishes & More is the premier PADI / SSI Dive center in Koh Tao offering the highest quality of service for reasonable prices. They offer a full range of PADI and SSI courses taught in multiple languages from Beginner till up to professional level training. Dive Wishes is also one of the only dive schools on the island that operates with own Speedboats. 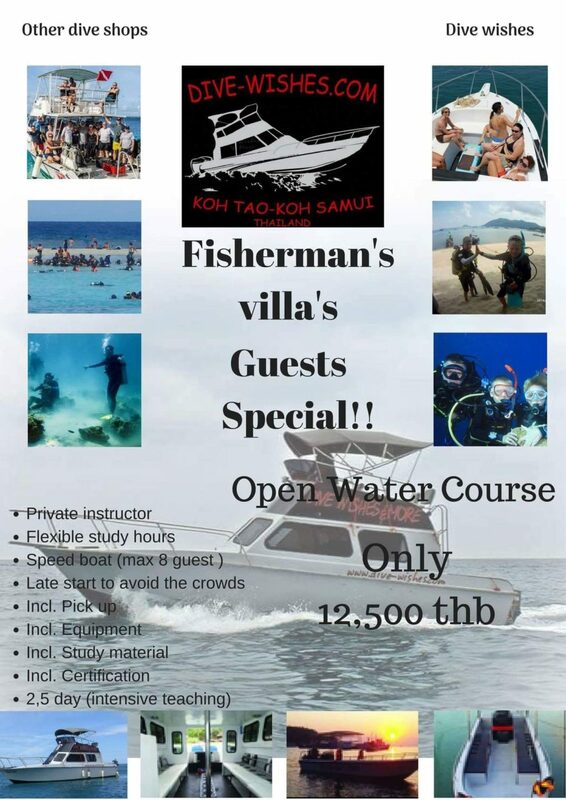 You can enjoy fast travel times to all of the dive sites around Koh Tao by Speedboats. All sessions on the water is with a speed boat. All equipments are included, pick up and drop off at the villa. IF YOU HAVE ANY QUESTIONS, FILL IN THE FORM AND SEND TO US.